Lone Star Saddlebreds provides full care for our horses in training including consistent exercise and training, quality nutrition, as well as a clean and comfortable environment that is free of stress. One look at our horses and anyone can see how happy they are to be part of the Lone Star team. – Hackney Road pony to bike and under saddle. 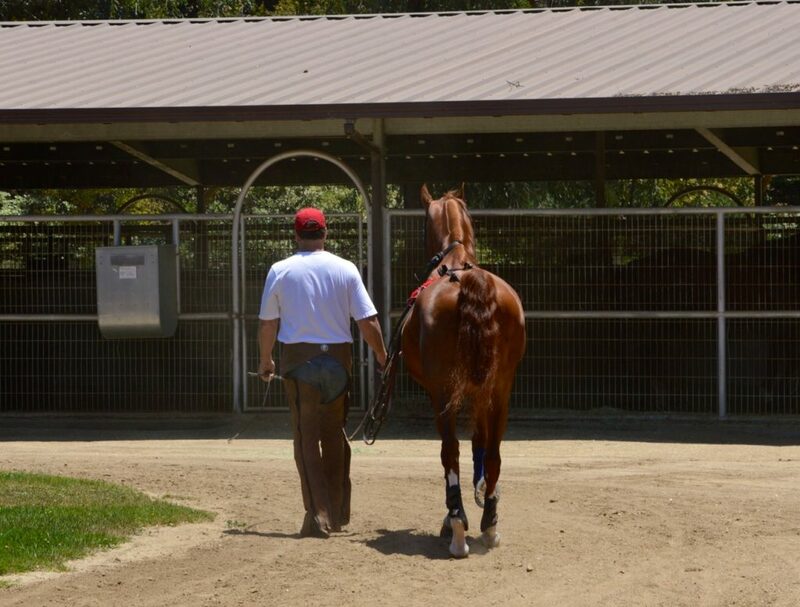 Our head trainer, Milo Jones, is a multi-time World’s Champion horseman with over 30 years of professional experience in our industry. Koren Mercer has 11 years of professional experience and assists Milo in the day to day care and training of each horse. Together, they work with both horses and riders to achieve the best experience possible. Milo and Koren are involved in every aspect of bringing a horse and rider together to prepare for competition – beginning with assessing a riders’ strengths and abilities before purchasing a horse, setting up appointments with other trainers throughout the country and traveling with the client to try out appropriate prospects (if necessary), providing a trusted professional opinion and negotiating the sale, providing daily training and care to meet the specific needs of the equine athlete and training the rider to perform to the ability of their athlete, and finally to groom the team to work together building confidence in both. Each team and situation is unique, and Milo and Koren make sure each experience is personalized in order to achieve a positive result. Our equine athletes receive training and exercise 6 days per week, the finest veterinary and dental care, quality farrier services, massage therapy and/or chiropractic care, as well as an immaculately kept stabling area. No detail is left unnoticed. The winter time is usually playtime for our athletes when they can literally kick up their heels in one of the beautiful pastures during the day. Our facility includes 25 large (12×12 or larger) stalls with an individual fan and fly spray system for the horses’ comfort and several work areas: a large round-pen, two arenas, and a large jog track. Turn out areas are available for downtime. For more information about our training program or for a tour of our facility, contact Milo or Koren directly.